You are here: Home / artist to artist / How Do Social, Environmental, and Political Events Impact Your Art? 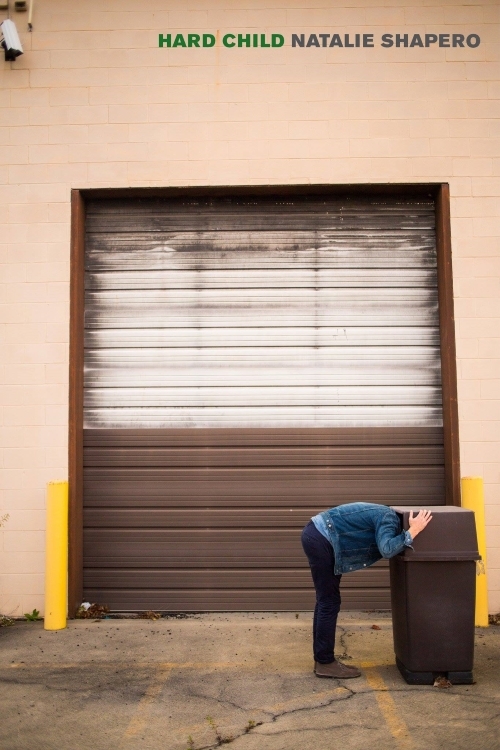 Periodically, we pose questions about issues artists face in their work and lives. This month, we’re revisiting a question we first posed to artists in 2013: How do social, environmental, and political issues events your art? I grew up in a place where politics was embedded in every aspect of life. The identity of the country and everyone in it—as we were constantly reminded by local newspapers, public murals, news broadcasts, public speeches, our education system, politicians, law enforcement, and even our recreational television programming—was driven and defined by a decades-old revolution and communist ideals. Every few blocks, a house was assigned to watch for and report any “counterrevolutionary activity.” Criticism of the government, its members, or its policies, no matter how innocuous, was grounds for being blacklisted, losing your job, or being prevented from obtaining a higher education. Racial, gender, and class issues, though prevalent, were treated as essentially nonexistent. After immigrating to the U.S. in my adolescence and turning to writing in adulthood, Cuba and its fascinating socio-cultural and political complexities became the central topic of my work. I don’t see that changing in the near future. Given the current political climate in this country, I think it’s crucial for writers and artists in general to consider, explore, and interrogate the socio-political forces that impact our lives in both tangible and unseen ways. My art work is definitely impacted by environmental events. Especially those that are affecting the health and existence of wildlife. I’ve always been interested in exploring the relationship that humans have with nature and animals. We humans seem to think we are above, beyond, and separate from the creatures that share our world. My work tries to bridge the gap between the species. For instance, my animal portraits are expressive and emotive without being cutesy or anthropomorphizing the subject. These animals don’t wear clothes or watch t.v. but hold poses that are natural to each animal and highlight the similarities between us (humans) and them (every other creature on earth). On the flip side, I also like to envision humans as part of the food chain or what it might be like to have hair all over your body or grow a beautiful silky coat of fur. My hope is that viewers may experience connection and empathy for these animals and think more about how their actions impact the earth and our fellow inhabitants. A number of times I had heard the phrase “San Francisco sourdough” and assumed it just meant some kind of bread that a baker in San Francisco thought of first. Then someone told me that it actually refers to how the living element of the loaf is specifically acclimated to the Bay Area climate. Then someone else informed me that is a popular but incorrect conjecture, and actually the starter that is said to be flourishing only in Northern California can actually basically just live anywhere. I don’t know enough about bread to evaluate the veracity of these claims, but I think the back-and-forth might be useful for artists thinking about how our work can and should be influenced by the political atmosphere. I believe in writing poems that are suffused with the predominant inequities and struggles of our time; I also believe in recognizing that these instant and urgent hideousnesses are not of our time alone. So I try to write poems that smack of both our political moment and of moments past and parallel. Further Reading: read the 2013 discussion How do social, environmental, and political events impact your art? featuring a visual artist, playwright, a sign painter, and a poet. 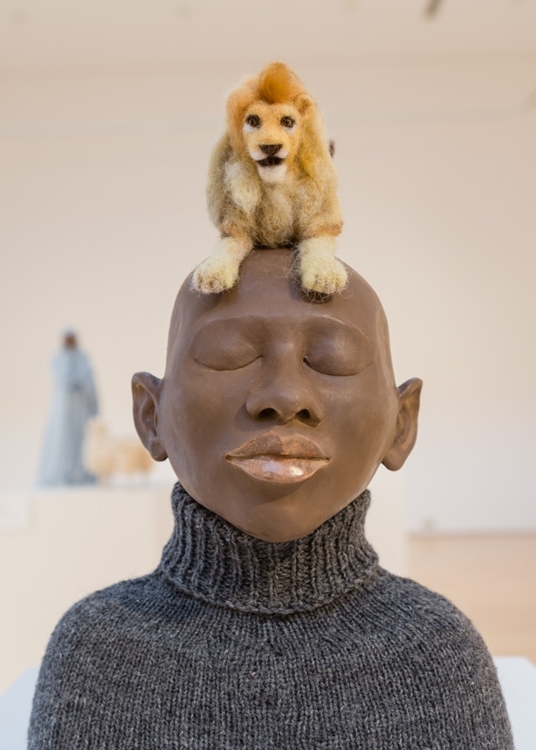 Mary Kenny is a visual artist who is currently exhibiting in THE BEAST AND ME at the Maud Morgan Arts Chandler Gallery (thru 2/8, opening reception 1/24, 6-8 PM). Natalie Shapero is the author of the poetry collection HARD CHILD. She will read with Craig Morgan Teicher at Belmont Books 2/26, 7 PM. 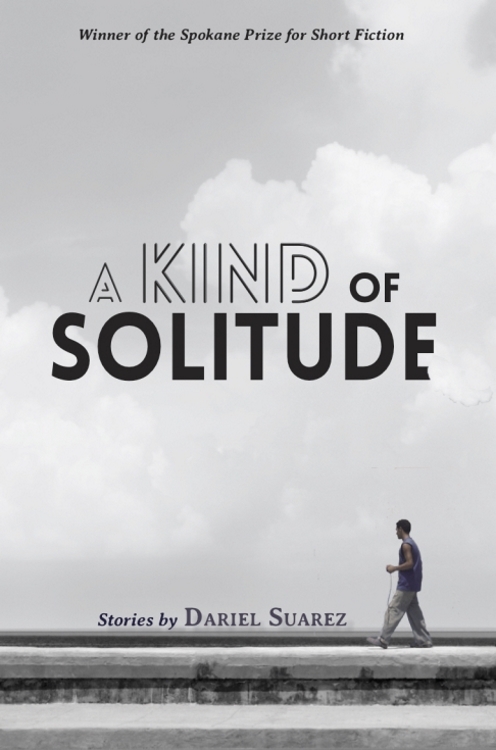 Dariel Suarez is the author of the short story collection A KIND OF SOLITUDE. He has upcoming reading events at Books & Books in Coral Gables, FL (2/8, 6:30 PM) and Brookline Booksmith (2/21, 7 PM). Images: cover art for A KIND OF SOLITUDE: STORIES (Willow Springs Book 2019) by Dariel Suarez; sculpture by Mary Kenny; cover art for HARD CHILD: POEMS (Copper Canyon Press 2017) by Natalie Shapero.